You can view and manage your billing information securely inside your control panel under the Billing Menu. You can see your Billing Information by selecting theAccount button, Billing in the submenu, and then Information from the dropdown. Here you will be able to view or edit payment information, review the current invoice and past invoices, and get a breakdown of your monthly charges. ​You'll see a form you can fill out with your current billing credit card information. Enter as much information as possible and click the blue Save Changes button when you are done.If you have a past due charge on your account, IDX will submit your new card information for payment immediately and, if applicable, re-enable your account. 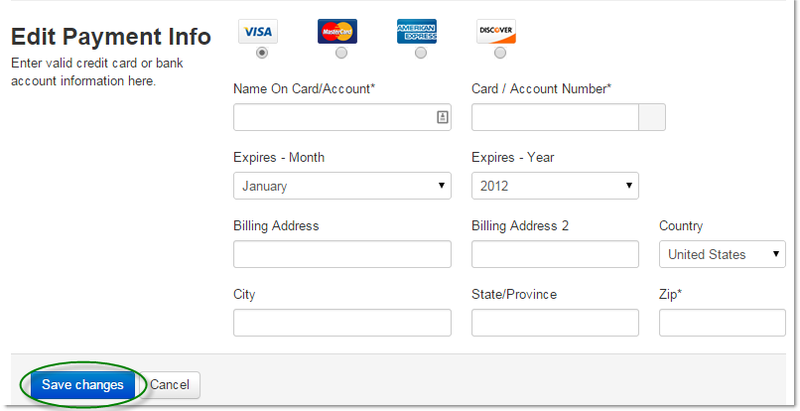 Your payment history from the point of your activation on the automatic billing system forward will also be displayed. To print the current invoice, just click the blue Print This Invoice button below the current invoice section.